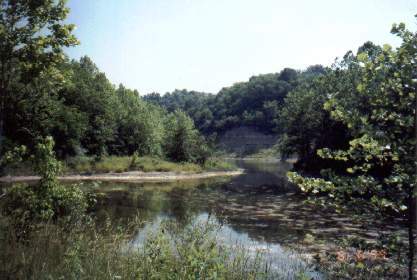 The Ohio Department of Natural Resources (ODNR) will hold a public meeting in Athens on Tuesday, August 17 from 6-9 p.m. to discuss proposed abandoned mine land projects being considered in 12 southeastern Ohio counties. The meeting will be held at the ODNR Division of Wildlife district office at 360 East State Street in Athens. Staff from the ODNR Division of Mineral Resources Management will be on-hand to discuss environmental and public health and safety issues associated with Ohio mines that were abandoned prior to August 3, 1977, when legislation addressing the problem went into effect. Other topics include the policies and procedures of Ohio’s Abandoned Mine Land (AML) Program and the proposed projects for Athens, Belmont, Gallia, Guernsey, Hocking, Jackson, Meigs, Morgan, Muskingum, Noble, Perry and Vinton counties. 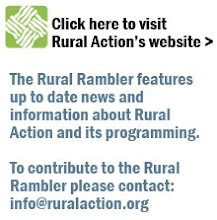 Meeting attendees are encouraged to present details of their own abandoned mine problems and check on funding eligibility in these counties as well as Lawrence, Licking, Monroe and Washington counties. In November, ODNR will apply for federal construction grant money from the U.S. Department of the Interior to fund abandoned mine clean-ups during the next year throughout the northeastern and southeastern Ohio coal-mining region. A portion of these funds, about $1.79 million, is earmarked for 16 non-emergency projects in southeastern Ohio. The grant also includes $2.67 million to improve streams impacted by acid mine drainage problems in the entire coal region. * Dredging two existing retention ponds, repairing an emergency spillway, constructing/repairing two headwalls, establishing two new plunge pools, raising two embankments, constructing rock check dams and a retention pond, and constructing a stream crossing. * Adding anoxic limestone drain and enhancing existing retention ponds and wetland. * Establishing drainage controls, re-establishing natural drainage corridors and stabilization, stabilizing barren outslopes, capture seeps from highwall, resoiling and revegetation, and planting hardwood seedlings on borrow area(s). * Removing a clogged anoxic limestone drain, re-directing two underground mine discharges, and re-constructing an existing wetland. * Redirecting and/or closing several mine discharges with excessive sediments. * Removing several unstable refuse piles, stabilizing and resoiling, establishing channels and revegetation. * Closing several mine drift entries. * Installing several underdrain systems. * Stabilizing erosion gullies and stream banks. * Installing a concrete cap to seal a mine shaft. * Reclaiming barren strip mines, gob pile and shallow pond. * Installing rock check dams, bank stabilization and restoration. * Stabilizing gob piles and reducing stream clogging and flooding problems. * Draining and filling of several strip pits as well as grading of spoil for positive drainage, resoil and revegetate. I have to hear just what Rosalie will say about this!? !